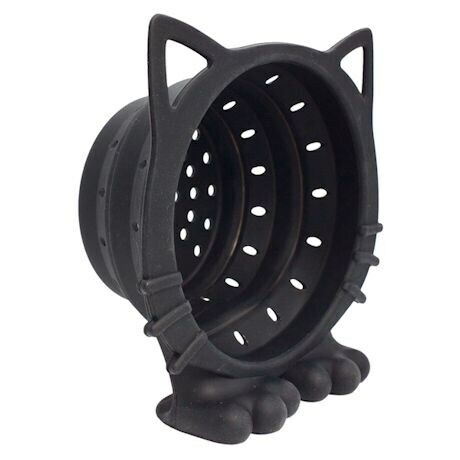 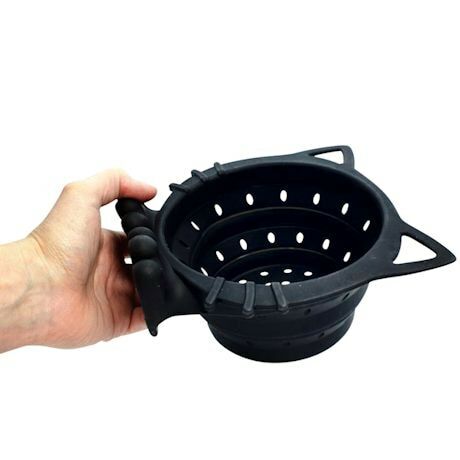 The black cat that is every cook's lucky charm, providing no-fuss straining and sitting conveniently on hand on its adorable paws. 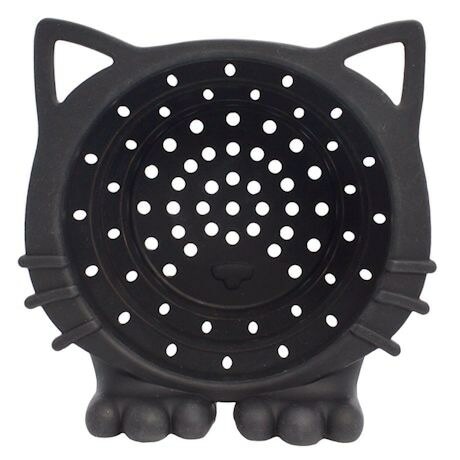 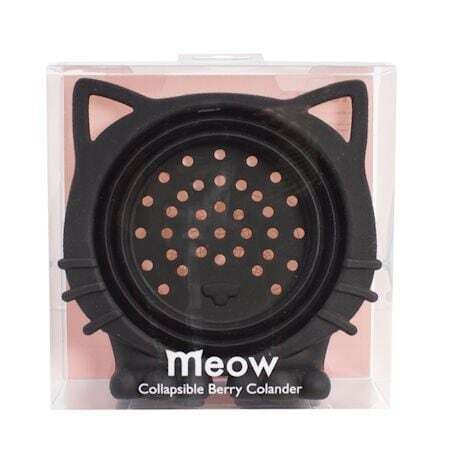 Cat people will love displaying it on a kitchen counter, or fold it flat to tuck in a drawer. 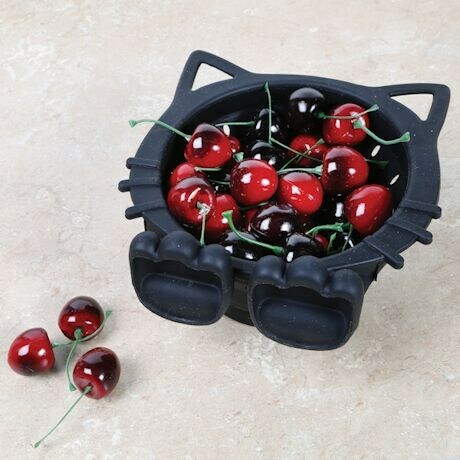 Dishwasher-safe food-grade silicon.